I’m going to Chicago next week for Eat Write Retreat. It’s one of my most favorite blogger conferences and always has the best swag. This year they’ve already mailed me a Calphalon SharpIn knife set and a bunch of Golden Door’s new food products. 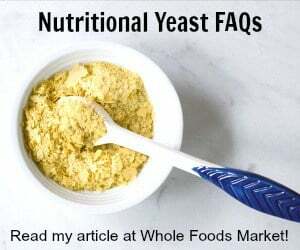 Please note: Even though I received these products for free, I was not paid to write this post. 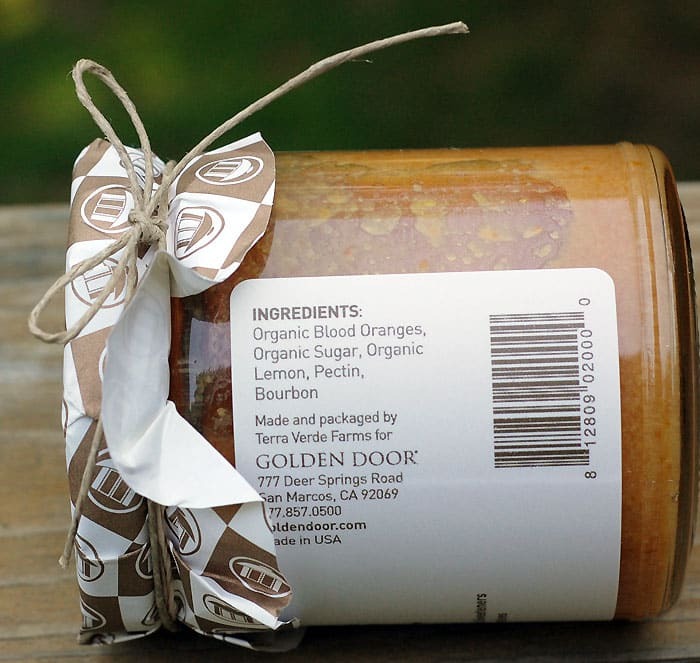 I am using them to enter in the Golden Door recipe challenge. Keep your fingers crossed for me, one of the prizes is a great Japanese dish set! 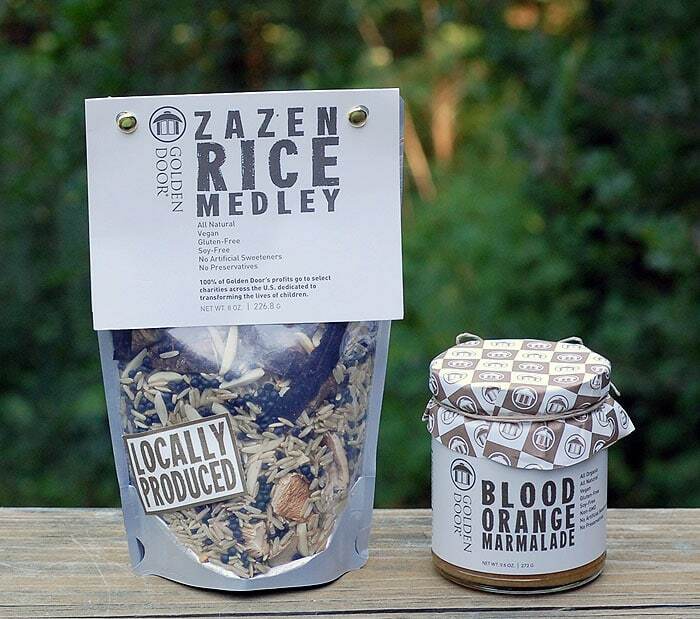 I chose to use the Golden Door Zazen Rice Medley and the Blood Orange Marmalade to make my summer rice salad. There’s a heat wave where I am, so cooking needs to happen after dark or early in the morning. 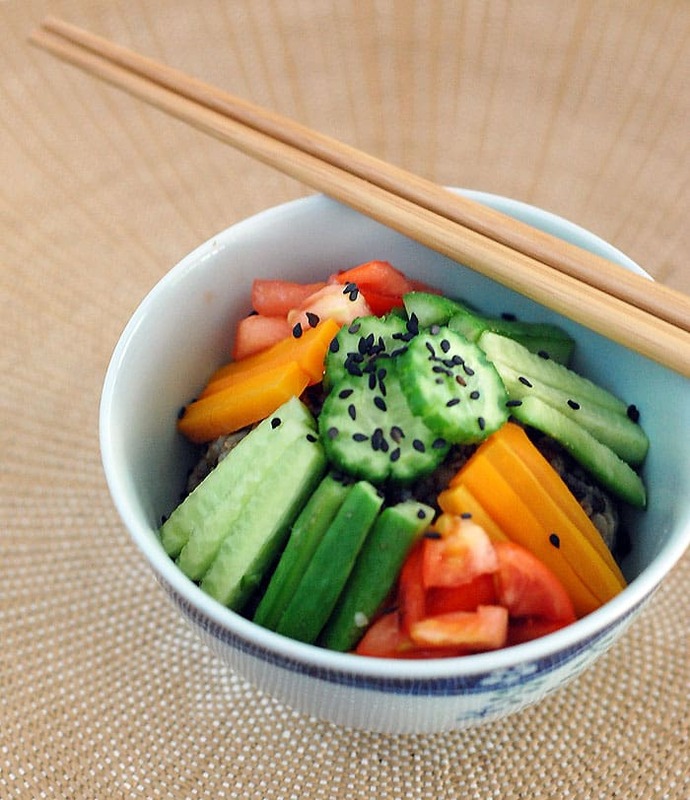 The components for the rice salad can be made ahead of time and kept in the fridge until you’re ready to assemble it. You cook the Zazen Rice Medley according to the directions, although I took out the dried mushrooms and minced them so they wouldn’t be as chunky. I also used water instead of broth and it was still full of flavor. 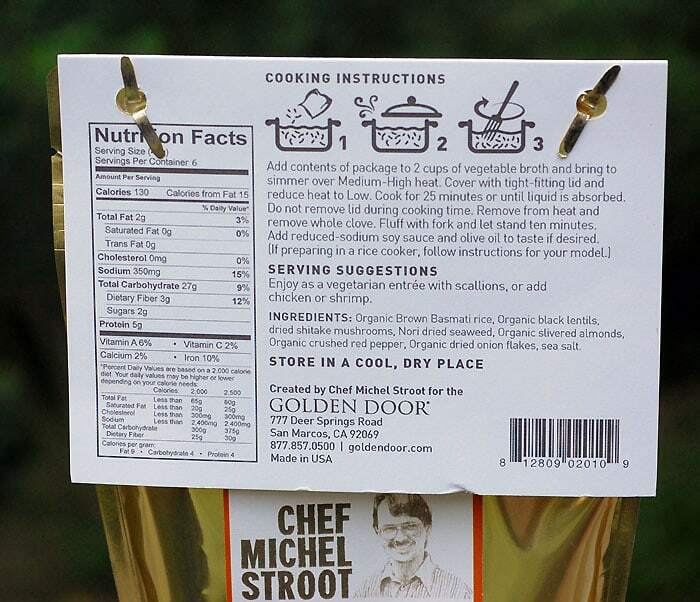 You can see that the ingredients are all natural and are all things you can feel good about feeding your family. I like the unexpected deep flavor of the mushrooms in this – especially once it’s chilled. This can be cooked up to a day in advance and is the base of our rice salad. 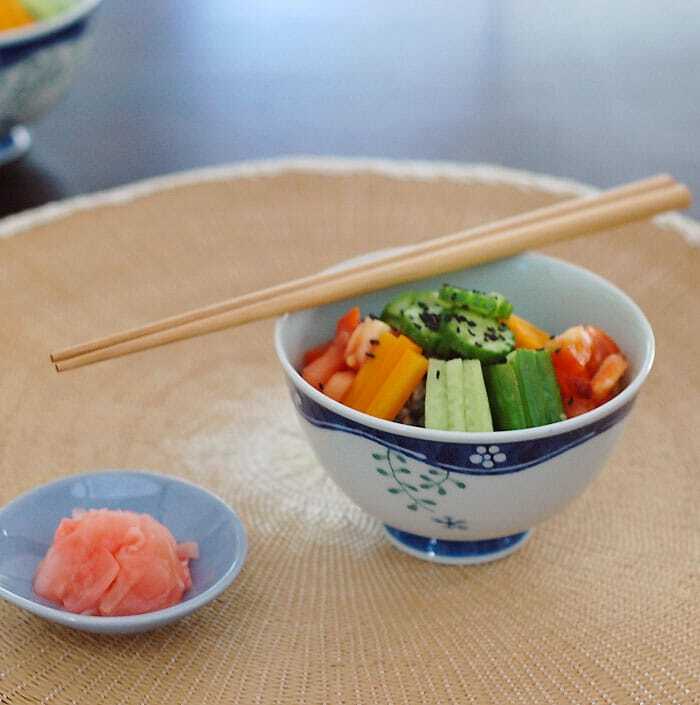 We top it with fresh chilled veggies. Next we whip up an easy marinade for the tofu using some of the Blood Orange Marmalade. I love the addition of the bourbon, but it’s very subtle. You bake the tofu in the marinade ahead of time too. That way when you get home from work you just need to assemble the ingredients that are ready and waiting in the fridge. The perfect summer dinner and you can vary the veggies to any you have on hand. Boil the water in a small saucepan and add rice mix. Cover and turn heat to low. Cook for about 25 minutes or until the rice is tender and all the water is absorbed. Let cool, then store in fridge until ready to assemble the salad. Add the water, soy sauce, blood orange marmalade, rice wine vinegar and sesame oil to the prepared baking dish and mix well. 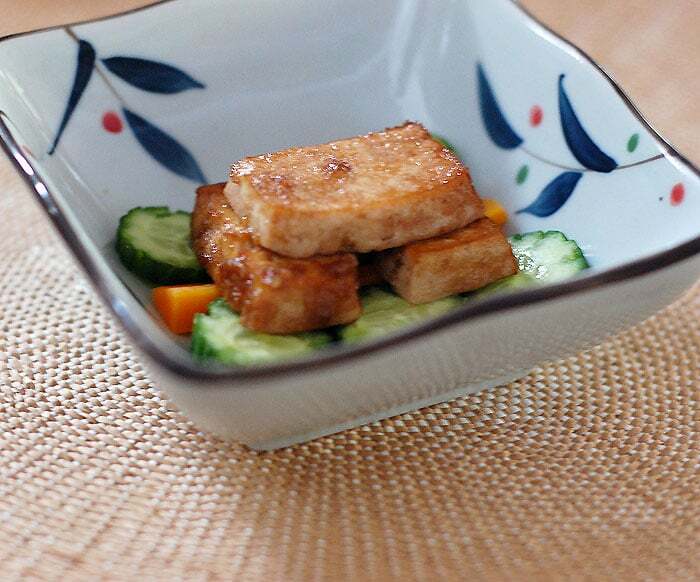 Layer the tofu in the marinade and bake for 25 minutes. Let cool and store in fridge until ready to assemble the salad. Prepare the salad:Put a large scoop of the chilled rice mixture in each bowl. Arrange veggies and tofu on top. Or serve the tofu on the side. Looks gorgeous, Kathy! Best of luck! It looks so cute! So pretty! So perfect!